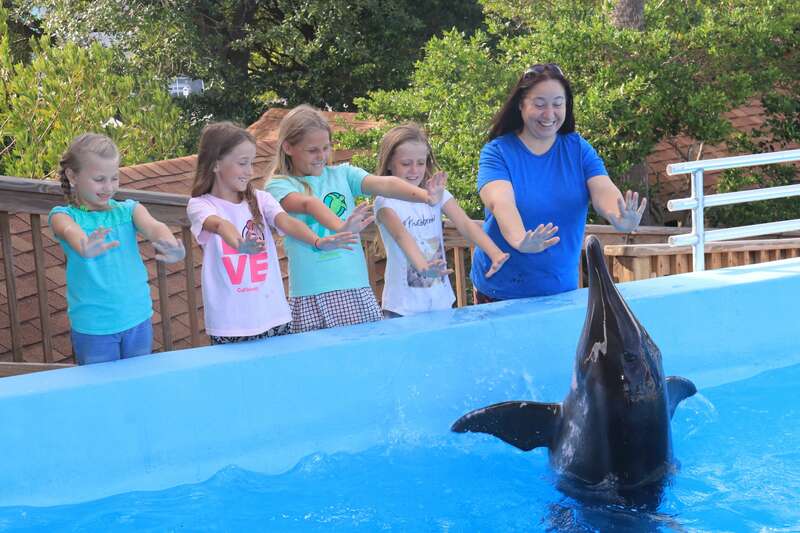 Gulf World is the only facility in North America that houses Rough-toothed dolphins. Learn about these rarely-seen off-shore animals up close! This once in a lifetime opportunity is available only at Gulf World Marine Park. General admission to Gulf World is included. 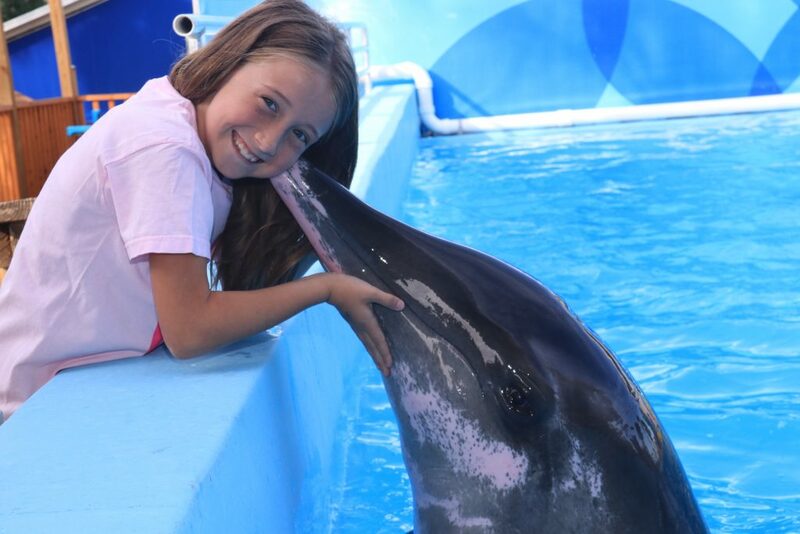 Enjoy shows, educational chats and explore the indoor and outdoor exhibits home to a variety of animals. See show schedule here. Due to limited space, only 1 paid observer per swimmer over 18 is allowed. Observers are required to pay regular admission fee plus a $5 observer fee. Swimmers under 18 may have one complimentary observer, with the option to pay $5 for 1 extra observer. Observers are required to pay regular admission fees. No cameras or cell phones are allowed. Participants must be at least 4 years old to do this program by themselves. No refunds will be given unless cancelled by Gulf World. Please arrive at least 30 min before your scheduled program time and account for high season traffic. Programs that have to be rescheduled will be charged a $25 fee per participant. This program can have groups of up to 6 people. There are not observers for this program with the exception of 1 observer for children under 18. Please leave valuables at home. Limited lockers are available. Every Interactive Program is photographed by our professional photographers. Professional prints or CD may be purchased after the encounter in the Photography Center. Cancellation Policy: All sales are final and non-refundable unless cancelled by Gulf World. Select a date and time on the calendar to book online!